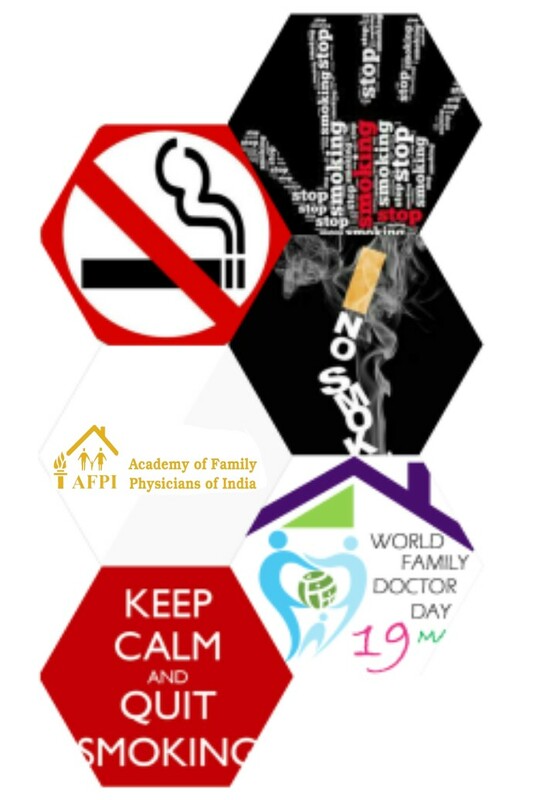 On 19th of May, we celebrated the World Family Doctor Day. Thank you all those who are working tirelessly and maintaing integrity and ethical values of our noble profession. Time to remember and celebrate our contribution towards a healthier world. This year smoking cessation was the theme. Preventive, curative and promoting health are the core areas of primary care physician. 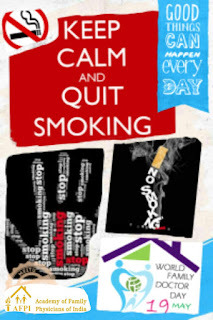 We are working to help everyone who wants to quit smoking and to educate all those who are still ignorant about its ill effects. You can quit smoking if you just think to quit. 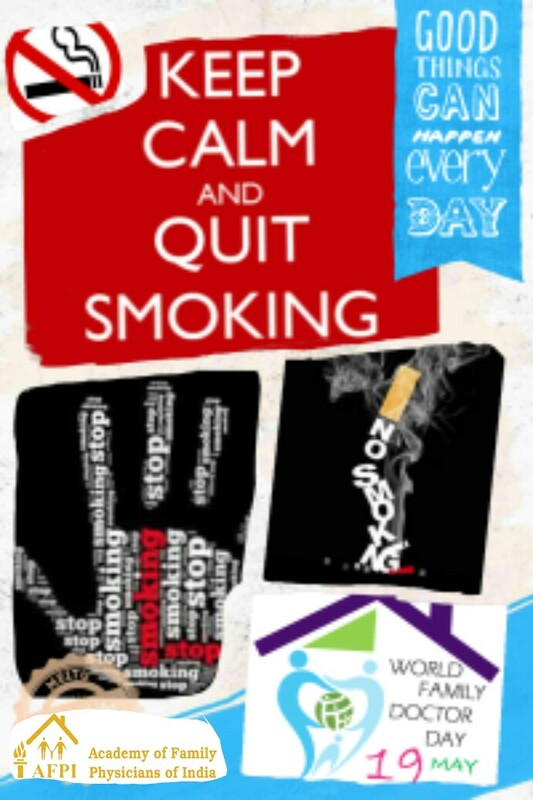 Have a better life..A smoke free life!!! Please enjoy the story by Dr. Sumana Datta. A 30 year old married house wife, lean and thin, belonging to a lower middle class family,residing at a nearby village,came to my clinic an early morning.On entering my clinic before I could offer her a seat, she started explaining her symptoms to me.She was anxious. I asked her to be calm, take a deep breath,offered her a seat near to me and asked my assistant to give her a glass of water to drink.There were patients waiting outside my clinic but I decided to take my time listening to her with patience. What I came to know was that This lady had been suffering for the last 1 and half years from generalised weakness,generalised body ache , low back ache and pain in multiple big and small joints including the small joints of hands, occassional episodes of low grade fever.The symptoms were proggressive in nature associated with deterioration of her general well being.At present she could not eat well, sleep well, remained tensed and depressed.The worst part of the story was that her husband had left her due to her illness.She had no child.She was staying at her parents house.She had been treated by local doctors posted in their rural hospitals with several multivitamins and pain killers providing brief episodes of relief but followed by recurrence.Her blood investigation showed raised ESR. The lady broke into tears while narrating her story to me. On examination I found out that she was having pallor, tachycardia (may be due to anxiousness, may also be due to anaemia and her disease process) and polyarthritis affecting the small joints of hands.The DIP was not tender or swollent at that time but she was telling that she had suffered pain in the DIP s also.A startling finding was that she had dry hypopigmented plaques with white scaling , central clearing and severe itching affecting the lateral aspect of her right cheek extending more laterally to involve the right ear and right side of her neck.When asked about these skin lesions, she said that this was present for long duration,and showed me that there were similar lesions in the anterior aspect of abdomen, lateral aspect of right thigh too.There was no such lesion in the extensor aspects of limbs or near pressure points.Nails were spared.Scalp was also not involved.She was insisting that those were diagnosed to be Tinea Corporis (local language : Daad) and she had been applying several antifungal topical ointments. To me it clinically appeared to be a typical lesion of DLE (Discoid Lupus Erythematosis) and I suspected that she might have been sufferring from Lupus Arthritis. I asked her to do a blood test for ANA , Biopsy from the lesion.But thess tests were not available locally and the lady could not afford the price of the tests too. Based on my clinical suspicion I started her on Hydroxychloroquine 400mg /day along with TCA and Clonazepam, Oral iron supplementation and a Sunscreen lotion.I asked her to protect herself and the lesions from exposure to sunlight. She came to me for a follow up after 14 days.Luckily,She responded well to Hydroxychloroquine and was symptomatically better.She was happy. I explained to her what I suspected, what an autoimmune disease is,that it is a multisystem disorder and that ideally she should visit a Rheumatoligist and should undergo regular monitoring. But she is reluctant to visit any other doctor. Till now she is doing fine with marked improvement of her generalised well being.Her parents came to me and thanked me a several times.She has started a new life.She is now providing home tution to toddlers. What I am trying next is to contact a local NGO and arrange for her treatment in a Govt Tertiary Care centre in Kolkata at least for once where she will be able to undergo a consultation with a rheumatologist and undergo the other necessary investigations free of cost to exclude other underlying systemic complications of the Disease. I have assured the lady and her family that her continuous care, monitoring and screening for other systemic complications with the locally available cheap baseline investigations will be totally taken care of by me. This case has taught me the importance of dermatologic manifestations of systemic diseases. The primary care physicians should be trained well regarding the Dermatological Manifestations of Systemic diseases preferrably with Audio Visual Educational materials which will help them in early diagnosis and treatment of several systemic illnesses based on clinical suspicion where the resource is limited. Gangarampur (Sub divisional town) Dist: South Dinajpur, State:WB, Country: India. Epidemiology of the area: It's a small town of about 10km2 diameter with apprx. 50, 000 population.It is located very near to Indo-Bangladesh border.There is huge inflow of patients not only from nearby rural areas of South Dinajpur , North Dinajpur, Malda district but also from the rural areas of Bangladesh.Population comprises of people from both Hindu and Muslim communities.There is also prevalance of the Tribal communities. Great one Dr. Sumana! It feels so good to hear such stories. Proud of you! It is very helpful for medical practice thank you so much and hydroxychloriquine explain me some information? I feel so happy to have read this. Thank you so much for sharing your story. Indeed this typifies what front line and continous care is all about.